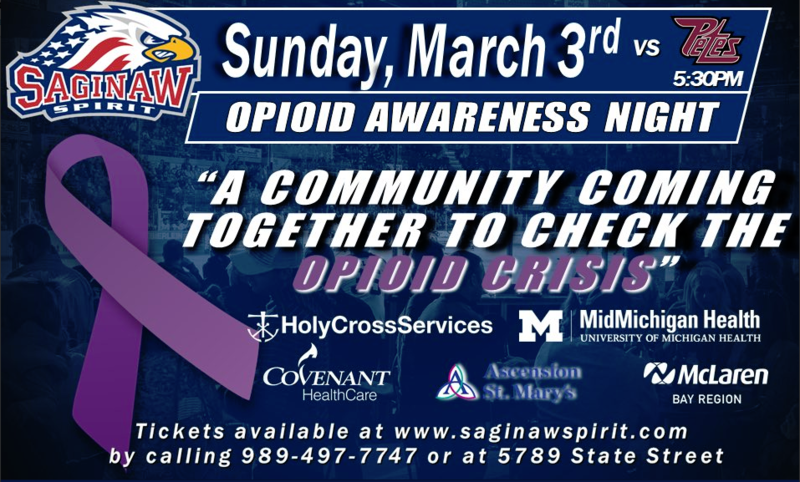 Sunday, March 3rd At 5:30 p.m. | Arena Doors Open At 4:30 p.m.
90 Minute Power Play in the Budweiser Red Room 4:00 p.m. – 5:30 p.m.
Join the Saginaw Spirit in coming together to CHECK the opioid crisis here in our own region for the first ever Opioid Awareness Night. Local resources from around the Great Lakes Bay Region will be on hand when the doors open at 4:00 p.m. to discuss referral sources that can provide immediate help for people who need assistance. 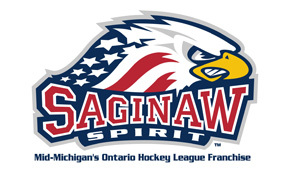 By visiting the resources tables and completing a special passport, fans will have an opportunity to win an autographed Saginaw Spirit jersey! A medication drop off location will be available prior to the game. Expired or unused medications can be dropped off at the location and participates will receive a complimentary upper level voucher to a future Saginaw Spirit game. In the Budweiser Red Room, fans can get select concessions items at a reduced price price during the 90 Minute Power Play from 4:00 p.m. – 5:30 p.m.